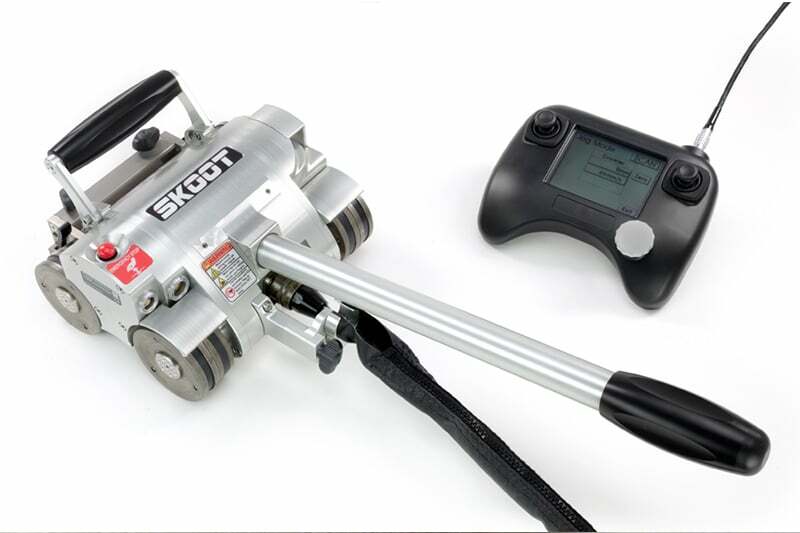 The Skoot, Jireh’s newest modular and motorized scanner is designed to carry multiple attachments, the Skoot can be used for many scanning and inspection applications. 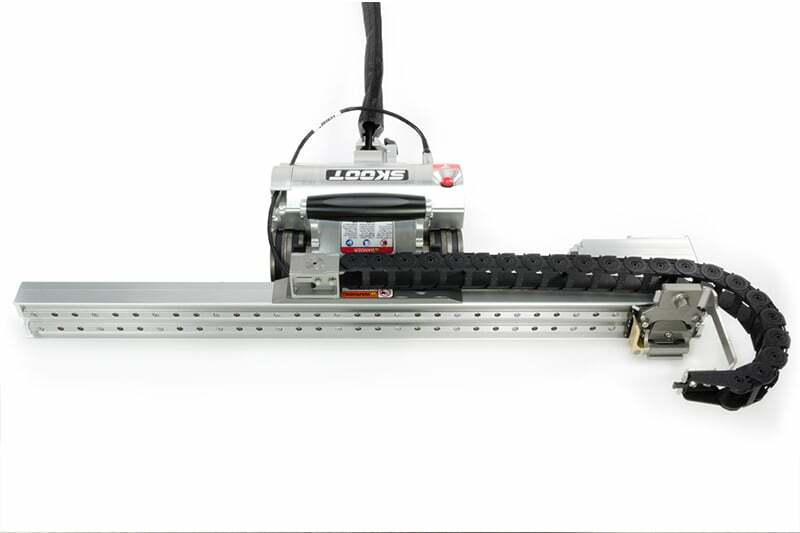 This remotely operated scanning platform is capable of circumferential scans from 63.5 mm (2.50”) to flat surfaces and longitudinal scans from 762 mm (30′′) minimum OD to flat. 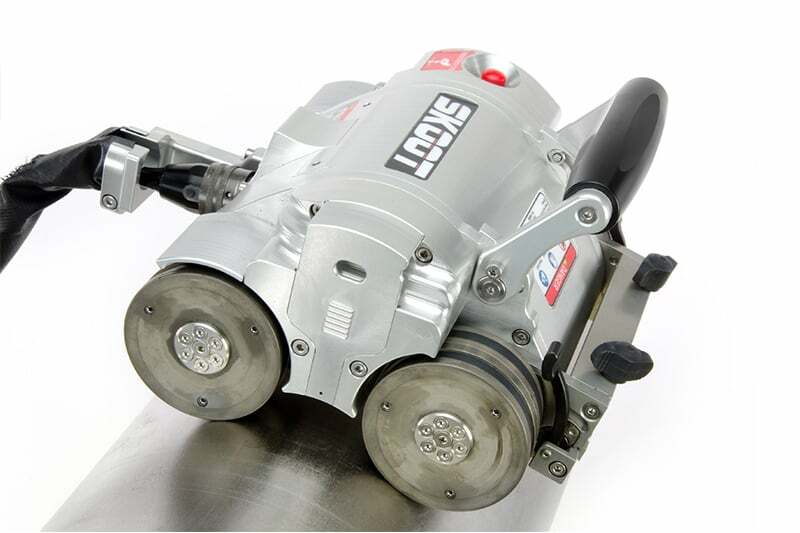 The Skoot uses rare-earth magnetic wheels allowing vertical payloads as heavy as 41 lbs and can be configured to connect to all types of brands and instruments. 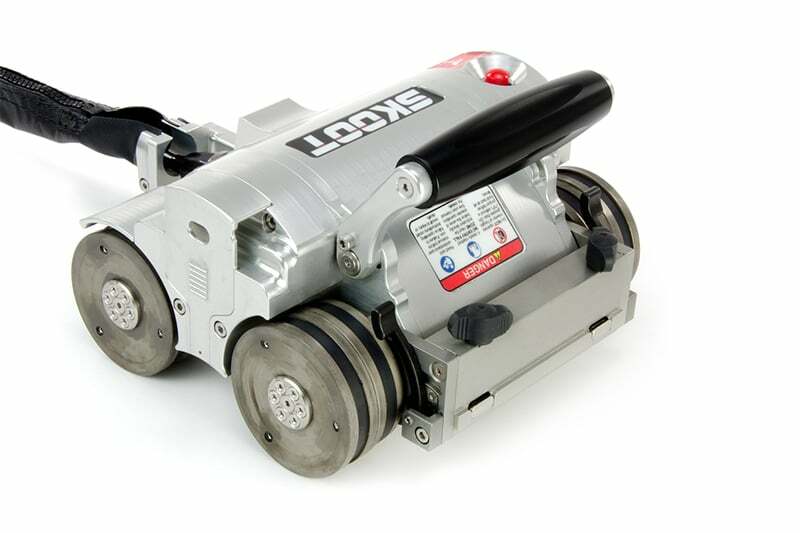 Magnetic Wheels: Using rare-earth magnets, the Skoot can operate on vertical, horizontal, and inverted surfaces. 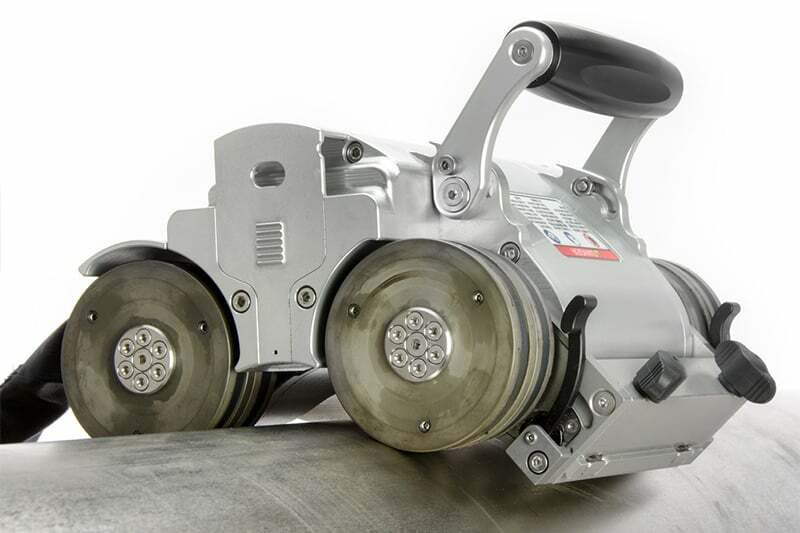 Scan Versatility: The Skoot can facilitate circumferential scans on pipes as small as 63.5 mm (2-1/2”) OD and 488 mm (19-1/4”) ID, as well as longitudinal scans on pipes as small as 760 mm (30″) OD. Scanning of flat surfaces is also possible. Backpack: The backpack conveniently carries ultrasonic accessories with the unit. Various sizes of raster arms are available for use with the Skoot. 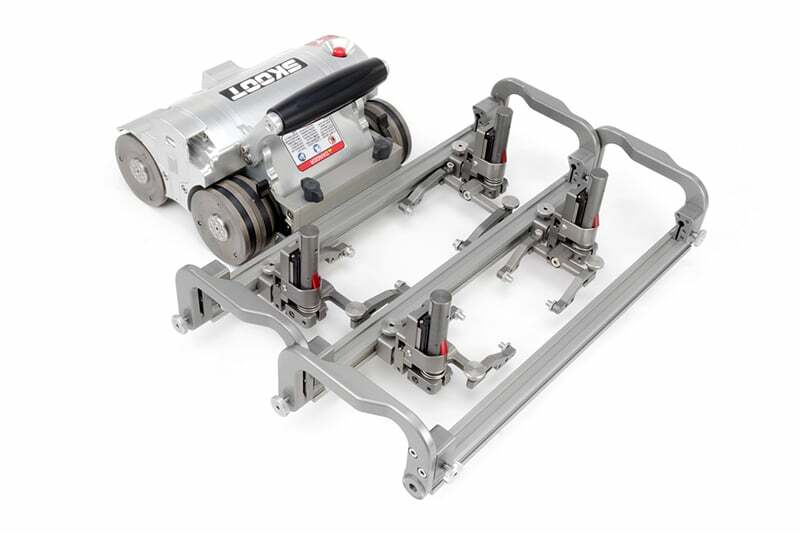 Contact us to find out more about the SKOOT or any of our other Phased Array & ToFD equipment, or request a quote online.